Are your stupid red hands ruining your nail photos? Hold them over your head to drain them of that pesky blood! FA at a scaled gradient and first successful use of vinyls! My Grandmother bought a down coat for $10, then gifted it to me! Experimented with dusting pastel powder onto wet polish, then added glitter! Jade stone nails because my name is Jade! Almost 3 years CG - it seems like the longer I care for my curls, the tighter they get! Chose an updo instead of a scrunchie bun and I feel so pretty! Thankfully, the 4th of July was a good hair day - They even set off fireworks in celebration! Freehand bee theme, hopefully they will spark a conversation about saving the bees! 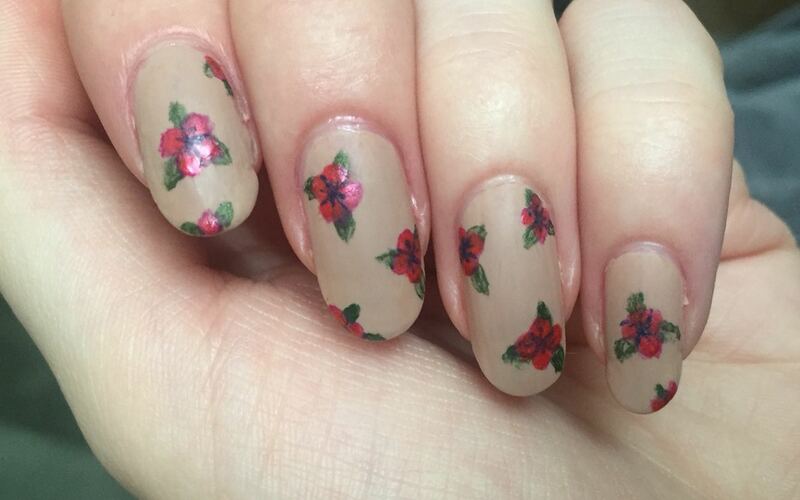 I attempted floral nails, but I'm not sure how much I like them. Thoughts? Anyone else have a favorite curl/cluster? I took a stab at a purple smokey eye based on a suggestion, I really like the way it turned out! A portrait of my cat which led to my first commissioned illustration and my fifth cat portrait. Colored pencil on watercolor paper stained with tea, 8x10. I'd present my FA at transfer foils, but they slid off right away... though I may have sped up the process while fidgeting. Luckily my polish stayed intact! Would you consider this frizz? It seems like what most people mean by frizz is different than what I can. I'm happy with the definition, but I cannot kill the fuzz that sits on top of my head. I played with fire and I got burned. Apparently winter isn't long nail season. Decided to try milkmaid braids instead of my regular scrunchie, I think I found a way a way to do my hair the night before! I started to think my hair was straight before starting the CG method, this is where I was about two months after. 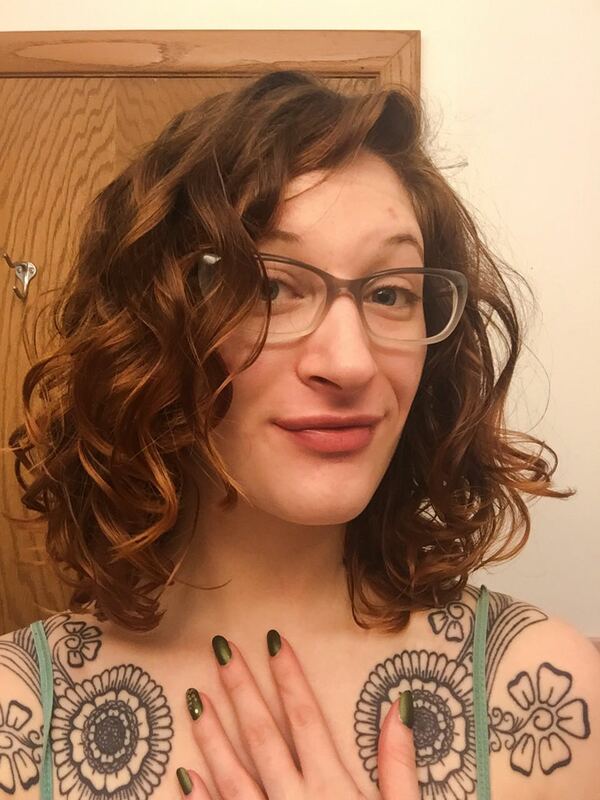 Still figuring my hair out, but I'm so happy to have my curls back. I divided my BabyTears plant and now it's dying. Can I get suggestions on how to save it? My upper and lower lashes touch and stick together, is there anything I can do besides trimming them? I'm finally seeing new growth on my dwarf boxwood, but should I trim the brown branches that aren't growing? This section curled at the root, but not at the end. The exact opposite of my curl pattern. I'm thinking about building a vacation spot inside my cowlicks, a nice place to hide away. Apparently this is my hair's effort to curl at the root.